星野リゾート・トマム　パートナー寮 /HOSHINO RESORT, TOMAMU Partner Staff dormitory. 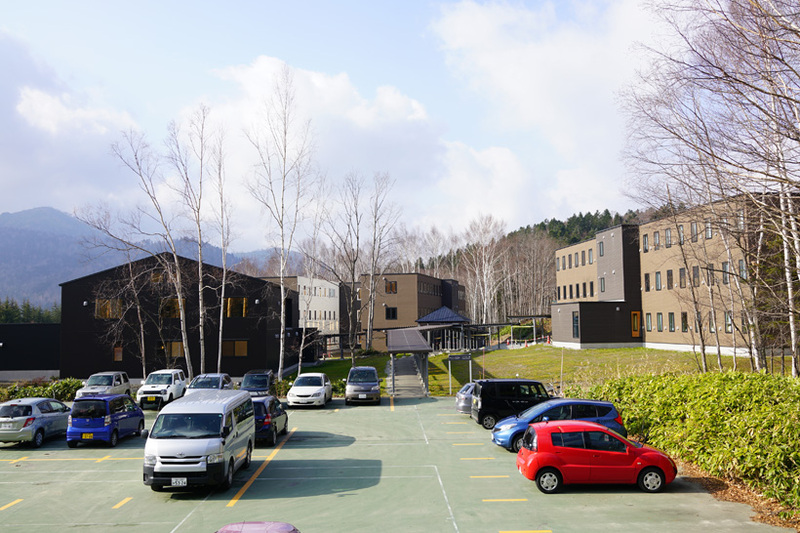 Partner Staff dormitory of Hoshino Resort Tomamu. Two 4-story buildings with H-shaped planes as houses, and a management building with a dining hall and a bathroom are connected by covered alley.